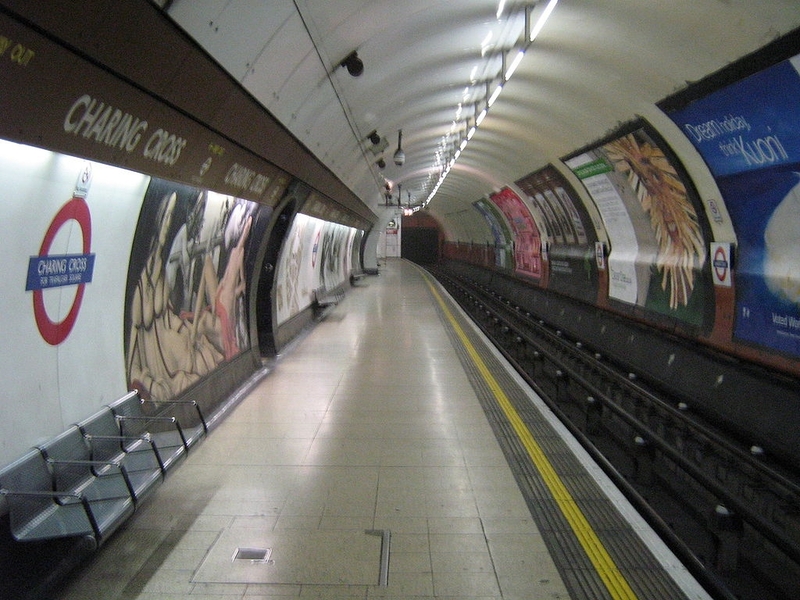 Each week, the equivalent of two busy tube carriages of people move to London. As London’s population grows, so does the strain on its public transport system. On May 5, the polls predict that London will elect either Labour’s Sadiq Khan or the Conservative’s Zac Goldsmith as the next mayor – and in doing so, endorse the winner’s vision for the capital’s public transport network. Transport is the area that the mayor has the most say over – indeed, two thirds of the mayor’s annual budget goes towards it (£11.5bn in 2015/16). But even with such significant powers to play for, both of the key mayoral candidates have largely failed to come up with a visionary, coherent plan to cope with the capital’s major transport issues. Sadiq Khan’s headline pledge to freeze public transport fares at 2016 prices for the whole of the mayor’s four-year term is an eye-catching policy (they currently increase in line with inflation, plus 1%). It’s aimed at reducing the transport cost burden for low-income families. Khan estimates the policy’s price tag at £450m for the term – much less than the Transport for London (TfL) estimate of £1.5bn. Khan also proposes to overhaul the bus fare structure: A one-hour bus pass – unlimited bus trips for an hour instead of paying for each bus separately. He proposes to pay for it by finding efficiencies within TfL, and reducing the use of consultants and contractors. He would also lease TfL land for development, have TfL bid to run services outside London and sell TfL’s expertise – much like London Transport International, transport consultancy trading arm of TfL’s predecessor, which advised metros around the world from the mid-1970s to mid-1990s. It will be difficult for TfL to absorb the fare freeze cost just by being thrifty, because any efficiencies are already earmarked to bridge the national government’s £2.8bn cut to TfL’s grants, for the period up to 2020. Any failure to bridge these budget gaps with money-saving measures will mean raising fares, scaling back programmes or striking projects altogether. Offering concessionary fares to those who struggle to pay for public transport could be a more targeted intervention, without such a high price tag. Both candidates are calling for TfL to take over management of the railways in London. 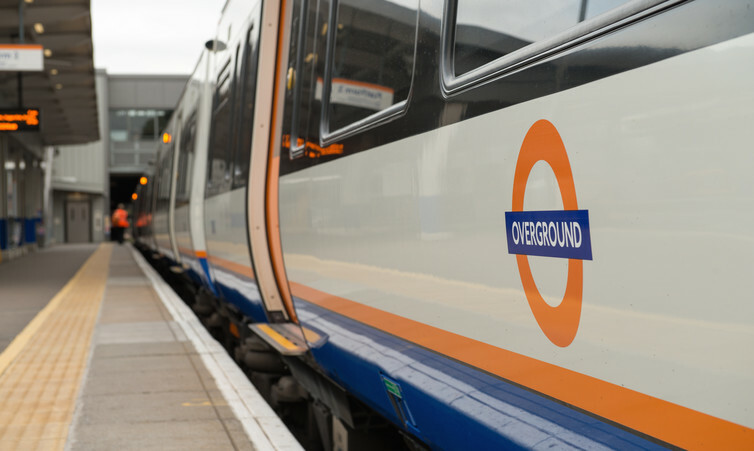 They want to replicate the success of the London Overground; the orbital network created between 2007 and 2012, after TfL took over underused railway routes. The model, which promises more frequent services, greater connectivity and safer, cleaner stations is popular. 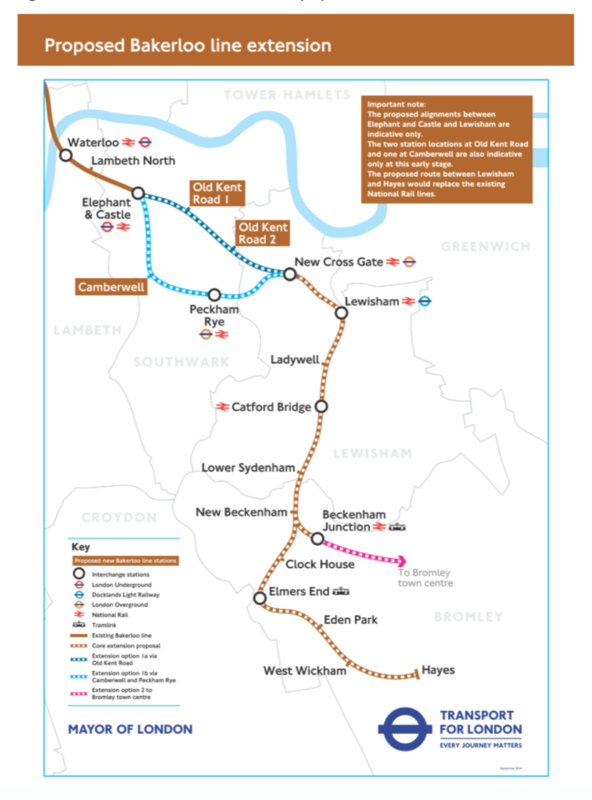 Last year the Greater London Assembly called for the Overground model to be adopted across South London. The UK government’s Department for Transport (DfT) holds the keys to greater rail devolution. Only it can transfer responsibility for managing the routes to TfL. A recent joint DfT and TfL publication suggests a move to more TfL involvement in managing London rail services. In theory, Transport for London could adopt the first South London routes in 2018, as franchises expire. 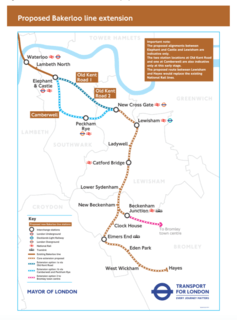 But the success of the London Overground orbital hinged on large scale capital investment. There has been little to no discussion of how these levels of investment might be secured for the south London venture – undermining its potential to be a success from the the outset. Both Khan and Goldsmith have also pledged to work with government to build Crossrail 2 – a rail link running through the centre of London from the South West to the North East. The National Infrastructure Commission recently concluded that without it, London “would grind to a halt”. The project is already being jointly developed by TfL and Network Rail. The government just has committed £80m of funding towards planning the project. There is widespread support for Crossrail 2 in principle from stakeholders, in particular the business community and the public. 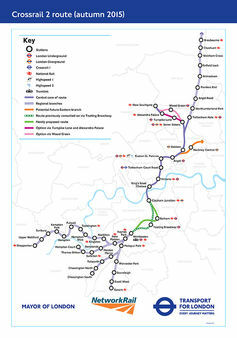 It’s estimated to cost between £27bn and £32bn – double the cost of the first Crossrail project. Neither of the candidates have put forward a coherent plan for funding. Khan also promises to secure funding for the Bakerloo tube line extension to south London. TfL are already developing a technically detailed case, after it found that 96% of Londoners supported further extension southwards from the current terminus at Elephant and Castle. Goldsmith promises to start planning the extension, but will prioritise new trains and signalling across the network in the shorter term. But he does commit to extending the tram in south London (Khan considers this a project for the longer-term). TfL has already committed £100m, but the project has been stalled as contributions of £200m from the local borough have not yet been secured. Goldsmith does not say whether he would push forward without local contributions. London was to get its first all-night weekend tube services in September 2015. This failed following disputes between unions and management, which led to strikes. A new start date has not been set, but both candidates have committed to delivering the night tube. Khan pledges to work with the unions, while Goldsmith takes a harder line, saying he’ll clamp down on the unions' ability to strike if necessary. Goldsmith’s manifesto proposes to expand the transport services on weekend nights to include the London Overground in 2017 and the Docklands Light Railway by 2021. But – you guessed it – TfL has already outlined that it seeks to extend the night tube to the Circle, Hammersmith and City, District and Metropolitan line once the modernisation programme is complete. London Overground and the DLR are also set to have night time services at weekends in 2017 and 2021 respectively. It’s clear that both candidates are playing it safe by taking their lead from TfL. They are both promising to progress popular investment projects, which are already in the works. Neither has outlined a coherent plan on how to meet growing pressure on the network and finances. Without such a strategy, TfL grant cuts will translate into fare rises, service cuts and deteriorating infrastructure. The hollow rhetoric of efficiency and portfolio development falls short of offering a plan to “keep London moving”. 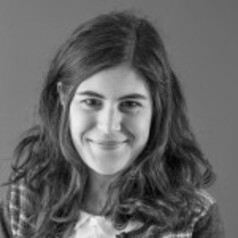 For her doctoral research at UCL Nicole receives funding from the Engineering and Physical Sciences Research Council via the research programme Transforming the Engineering of Cities. Nicole works on the MacArthur funded research project New Urban Governance looking at transport governance in different cities across the world. This project is hosted at the urban research centre LSE Cities at the London School of Economics. Nicole is also currently supporting the project CREATE, which is looking at the evolution of sustainable transport policies in cities. CREATE is funded by the EU via Horizon 2020. Nicole is a non-active student member of the Labour party. This article does not reflect the views of any research organisation.